September is such a beautiful month for garden weddings at CJ’s Off the Square, and Kayley + Jared’s big day was a perfect example. The weather was gorgeous for their evening ceremony and reception, and the couple’s elegant vintage style brought an ethereal romance to the space. 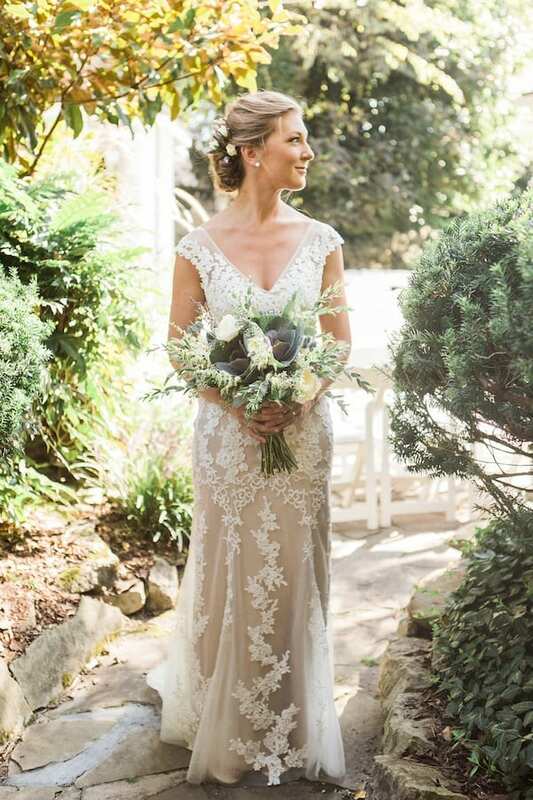 The bride looked absolutely radiant in her Maggie Sottero gown (“Lucinda” in mocha), with a few sprigs of lavender and spray roses tucked into her hair. The Enchanted Florist created a gorgeous textured bouquet of ivory garden roses, purple kale, astilbe, thistle, and eucalyptus for Kayley to tote down the aisle. 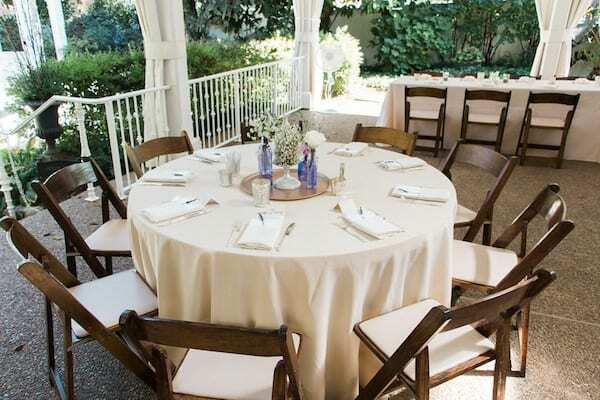 Every detail came together to create a memorable, meaningful wedding. Congratulations again, Kayley + Jared! Special thanks to Sarah Sidwell for capturing the day with these beautiful images.